I am excited to announce that The Ghosts In Our Machine, directed by Liz Marshall and produced by Nina Beveridge and Liz Marshall, has been nominated for four Canadian Screen Award categories. You can read more about it in Liz’s blog here. Though we did not win any awards, we were thrilled to be there and with four nominations, we had our own “Ghosts” table at the event. Some of the Ghost’s team at the CSA’s. 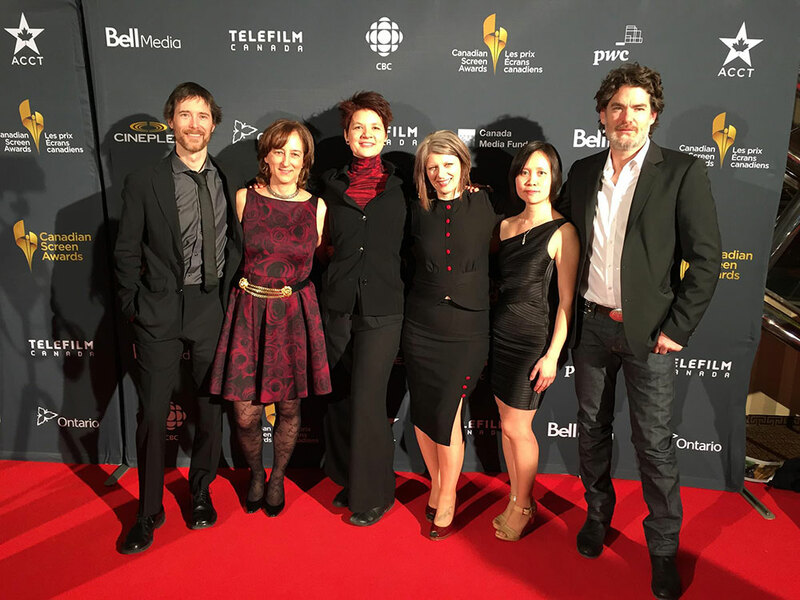 From left to right: Jason Milligan – Sound Recordist; Nina Beveridge – Producer; Liz Marshall – Director, Writer, Producer; Lorena Elke – Research Consultant; Iris Ng – Cinematographer and John Price – Cinematographer.